Sable is a top painter's choice in virtually all media, due to its strength, spring, and ability to retain its shape ("snap"). 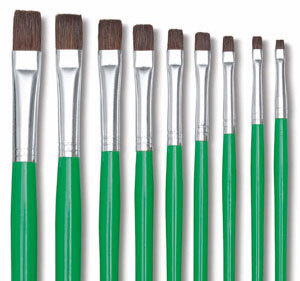 Though priced for a student budget, our Economy Sable brush holds a point or edge well. 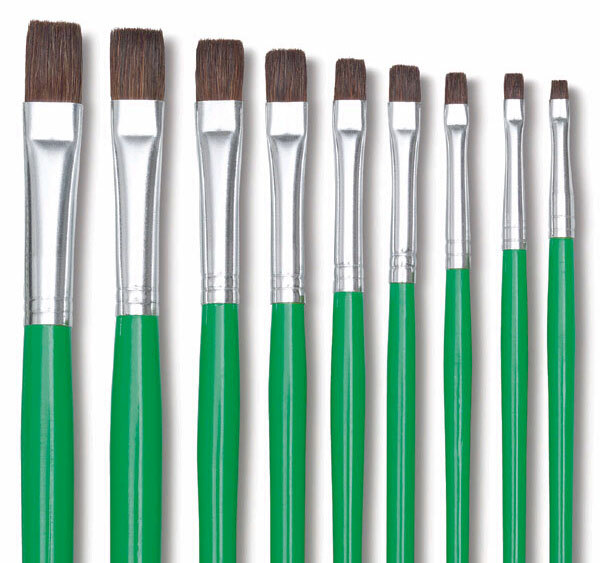 Each brush has a long natural wooden handle with green gloss finish, and a seamless, polished aluminum ferrule. Bright, Set of 4 — This Bright set includes sizes 0, 1, 2, and 4.